Sir Malcom Rifkind has stepped down as chairman of the Intelligence and Security Committee and resigned as an MP following increasing pressure after he was caught on camera allegedly offering a ‘cash for access’ service to private companies. In a statement on Tuesday morning, he said he would remain on the Committee, but would “step down from the Chairship" of the committee. It was later revealed that he would resign his parliamentary seat in central London, a traditionally safe Conservative constituency. A number of candidates have been rumoured to be lined up for the role, including ex-Olympic rower James Cracknell and Sayed Kamall, the leader of the Conservatives in the European Union. The men were caught on camera offering access to high-profile figures in exchange for cash. Rifkind, the Conservative MP for Kensington, was filmed claiming to be self-employed, despite earning an MP’s salary. 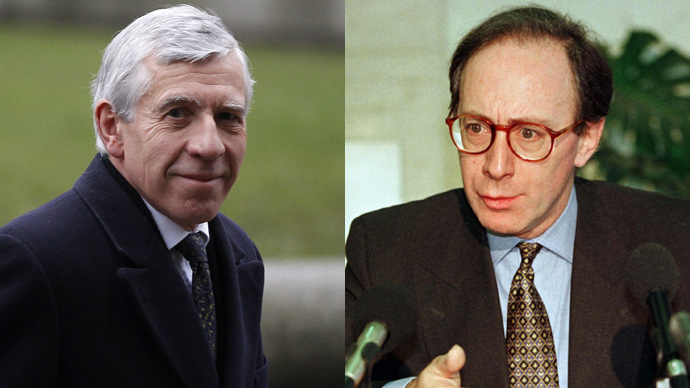 Rifkind faced pressure from Howells, after he said the work of the Intelligence and Security Committee, which oversees the roles of MI5 and MI6, was “too important” for Rifkind to jeopardize. “If the intelligence and security services are not properly overseen and accountable to parliament and the people, then all hell can break loose,” he added. He further announced his resignation as an MP, saying the allegations against him were "contemptible" and that he had previously planned to seek one further term. Rifkind has insisted that the allegations are “unfounded” and told the BBC he had “nothing to be embarrassed about.” He claimed the conversation caught on film was a “preliminary” discussion and he had not accepted any offer from the firm. Straw suspended himself from the Parliamentary Labour Party, which said it was aware of the “disturbing allegations” made against him.